Contrary to what I would have thought, Nintendo unveiled their powerhouse title (The Legend of Zelda: Skyward Sword) at the very beginning of their conference as opposed to saving it for the end, and it went… interestingly. I don’t think I was the only one who was giddy with excitement when I saw the trailer, but when the on-stage demonstration took place, I was quite… underwhelmed. A lot of things went wrong, namely everything. Slashes didn’t work, WiiMotion Plus continuously became un-calibrated, the nunchuck shakes were unresponsive, the sword was flying all over the place; the list goes on and on and on. While Miyamoto assured the crowd that things do play very smoothly, and there were simple technical difficulties that held back the onstage demo, it’s hard to deny that it really killed the buzz that the trailer created in the beginning of the conference. Of course, they showed a second trailer afterwards which (almost) made up for the dismal performance onstage, but all in all I think that many people were left disappointed in the end by the title which was supposed to blow everyone away. Following up an uncomfortably bad premiere, Nintendo took gamers to the opposite end of the spectrum with Mario Sports Mix. Mario Sports Mix is essentially the end-all for Mario sports titles, because it looked to include just about every sport Mario has yet to star in, including volleyball, hockey, and dodgeball. For me, this was a bad sign for the conference. We started with a lame Zelda performance, and now we get another Mario sports game? Not that MSM looks bad by any stretch the imagination, though. 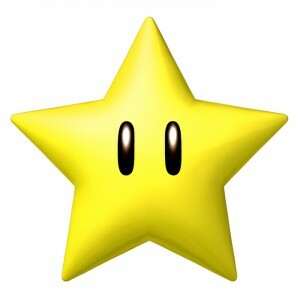 I happen to very much enjoy all of the Mario sports games I’ve played, but with rumors of Zelda and Donkey Kong flying around, it was a little disheartening to see our star plumber hitting balls around the screen for the 10th time. Wii Sports, Wii Play, Wii Fit, Wii Sports Resort, Wii Fit Plus, Wii Music, and now Wii Party make up the “bridge” games in the “Wii” series of titles. The newest game will have 14 game modes and 70 mini games to play through, and definitely follows the same style as all of the previous titles. Am I jumping for joy at this announcement? No, especially since we’ve known about it for around a month now. Would I play it if someone offered? Yea, certainly, but don’t expect me to sink hours and hours of enjoyment into it. Ubisoft just loves to show off Just Dance, and seeing as how the first game sold millions, it’s no surprise that they would announce a sequel. Though I’d love to brush it off as just a second cash in, it actually looks like they put a good amount of effort into it. The game will include dance crew face-offs, tons of new songs and content, and up to 8 players can play at once locally. Do I plan on buying it? Nah, but I know a lot of people that would really enjoy the title. Fans of the series can expect the sequel to his this November. I’m not a big RPG buff, so seeing some more Golden Sun news really didn’t tickle my fancy in the same way that a lot of other announcements did. In this new game, players are again tasked with saving the world, but this time it’s from (apparently) a dark sun that is casting the light (dark?) of death across the land and threatening to destroy the entire human race. The DS, in my opinion, is far and away over-saturated by RPGs, but I’ve heard only good things about the first Golden Sun, so if you’re looking for a AAA roleplaying game on the DS, look no further than Golden Sun: Dark Dawn. Or Chrono Trigger. Or Final Fantasy. Right… Golden Sun: Dark Dawn will be out this holiday season. We’ve known about this since yesterday, and it was far and away the best piece of news I had heard about during all of the press conferences up until today. I’m sure that the majority of you reading this have played 007 Goldeneye before, and if you have any sense in you, you probably have incredibly fond memories of late-night multiplayer parties and friends yelling at each other. Going back to play it today, I find that the controls are not quite as intuitive as I remember them, and the framerate issues make the game darn near unplayable for anything more than nostalgiac value. This game, and its spiritual counterpart Perfect Dark, both needed major upgrades in order to bring them to a new generation of people. With Perfect Dark being released on Xbox Live, and now Goldeneye coming to Wii, things are looking very good for the classic shooter genre. No awe, no flashy nonsense, no gripping moments for the sake of them; pure, uncompromised gameplay, and this generation more than ever needs some of that. Goldeneye releases this holiday season. Disney’s Epic Disney is the title that has been shrouded in mystery since it was announced last year. The concept art was beautiful, and the idea behind the game was amazing, and the brains behind the project (Warren Specter) give it a lot of promise. What we saw at E3 completely put to rest any fears I had about the game, because it looks really awesome. What was shown was primarily platforming, consisting of a 3D level and a 2D side-scrolling level (which was inspired by classic Mickey Mouse cartoon), both of which looked like they played fantastically. I really could not find a single thing to complain about, one of my favorite aspects being the atmosphere. I will be keeping a strong eye on this one as it approaches its release date this holiday season. Way back when the Gamecube was still living out its glory days, Nintendo added a game to its list of “Upcoming Titles” simply titled “Kirby”. Speculation built up, but when “Kirby’s Air Ride” released, everyone thought that this was the mysterious Kirby title that was rumored to be coming. Oddly enough, the weird “Kirby” game stayed on Nintendo’s “Up and coming games” list for the next 7 years. When the Wii came out, it switched from being a Gamecube listed title to being a Wii title, but even then there was still no word on what it might be. It had almost become a running joke between Nintendo followers and people in the industry, when finally this year Nintendo surprised everyone and gave us a Kirby game to chew on: Kirby’s Epic Yarn, and really, could this game be any more epic? A 7 year development cycle, an awesome yarn and cloth inspired art style, and all of the forms Kirby has been known for over the years, and you’ve got one happy Kirby fanbase. No word on the story details or anything (maybe someone steals Kirby’s food? Just a guess…), but the game can be expected out this fall. When Metroid Other M was announced to be developed by Team Ninja and Nintendo, everyone was wondering what Retro Studios (the genius’ behind the Prime series of Metroid titles) was p to. If they weren’t doing Metroid any longer, what might they be up to? Speculation was brewing, and now we finally know what all of it means: They’re developing the next Donkey Kong Country game. Called “Donkey Kong Country Returns”, it harkens back to the 2D platforming roots of the original DKC titles, and even though I don’t really like the DKC games, I was a little excited to see this one. It looked very solid, fast paced, and with a company like Retro at the helm, it’s hard to worry. No overblown hype for me, but I’ll keep it in mind as its Holiday 2010 release date approaches. Here’s the big presentation of the show, and the thing that I really think blew everyone completely and utterly out of the water; nay, out of the world. There is almost too much to talk about regarding the 3DS and how awesome it is, but I’ll do my best to start with the technicalities of the system, followed by the games it will have. 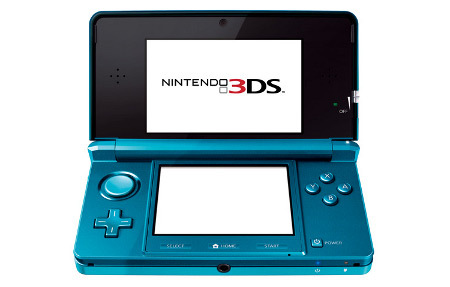 To start, the Nintendo 3DS will have full 3D capabilities without the need for 3D glasses. It comes equipped with a little slider to allow you to adjust the level of 3D you want (from “2D” to “Full 3D”), 2 screens (bottom is touch, top is 3D), a 3D camera, and tons of other awesome stuff. Graphics look to be about the level of a Gamecube, as predicted, and it has a menu and such just like the DSi. Overall, technicality does not look to be an issue with the new system, but as Reggie Fils-Aime said at the beginning of Nintendo’s conference, it’s the content and not the technology that makes a game system great, and boy does the 3DS have content. I’ll have to keep these short because there’s just so much, but I’ll give a quick impression on each one. The most surprising of the reveals, Kid Icarus: Uprising is the secret project that Project Sora (headed by Smash Bros. director Sakurai) has been working on as a launch title for the 3DS. The game seems to be a mix of on-rails shooting, platforming, and adventuring, with really fast paced action and beautiful environments. Level of hype: High. A lot of Nintendo purists will spit on Nintendogs as a far too casual title to be of any worth to the gaming community, but all of the time I’ve spent with it has been tons of fun. Getting a 3D version of the game with updated graphics is an awesome thing, especially since (surprise!) it will include kitty cats as well! Consider me excited for this one as well. Judging by the screenshots we’ve seen, Kingdom Hearts 3DS is a brand new entry to the franchise, which could be really cool if done right. A lot of the details we’ve heard make it out to be very similar to the first game in terms of locales. I haven’t had the pleasure of playing any of the KH games all the way through, but from what I hear it’s a great title. Can’t go wrong by adding more potential to the mix! I love Saints Row. More than GTAIV, more than Red Dead Redemption, Saints Row (the second one, to be exact) provided me with an experience that didn’t get dull after 20 minutes because of how fantastically ridiculous it was. I can’t ever get into GTA for more than a few minutes at a time, but bring on the craziness, because Saints Row on the 3DS has got me ready to fly airplanes into nuclear powerplants all over again. I almost missed this one, but the brief moment that it was up on screen let me recognize the logo and jot it down very quickly. Max and the Magic Marker is an awesome, awesome WiiWare title that puts the power of a magic marker in your hand, letting you draw items to solve puzzles. It’s a pretty fun game that can only bring on more smiles with a 3DS iteration. Should be fun. Look at those screenshots. Need I say more? It’s Ridge Racer. RIDGE RACER. Apparently a port of the AAA, critically acclaimed 3rd entry to the Metal Gear Solid franchise, there is nothing that needs saying more than “It’s Metal Gear Solid 3. You’re gonna want it.” Since I’m just now playing through the original MGS, I’m super excited to have a chance to play this title without getting a hold of a PS2 again. I feel bad for using this excuse over and over again, but it really is all I need to say. It’s Ocarina of Time. That’s it. And hey, I’m all about saving some time while writing this massive article! Or, sort of massive… Maybe I just complain too much. I wrote an article back on NintendoEverything.com a while ago about games that really changed us as gamers, and my game was Star Fox 64. Be that as it may, could I be more excited for a remake of one of my favorite games of all time? Nope, I couldn’t! This, coupled with everything I’ve already gone over is about as good as it gets. The last two Mario Kart games have been, in my opinion, the two best ever, so having another one confirmed for the 3DS is just more frosting on the cake made of frosting which is complimented by a bowl of frosting and an entire other cake which is just normal. On the other hand, I could be lying to you about this whole cake thing, couldn’t I? You know that Jack guy who writes for this site? Well, he always yells at me because I STILL haven’t played a game in the Paper Mario series, which is one of his favorite series’. Well, even without playing them I know the level of quality that the games tend to have, which means we have yet another fantastic addition to the 3DS’ library. Man… there are actually too many AAA games coming out for the 3DS. Here’s another one, the Professor Layton series of games, which is arguably the best puzzle game this generation. Professor Layton and the Mask of Miracle will follow the same idea as the previous games, while adding new types of puzzles and tons of new content to keep players busy for a long time to come. Of course, this is not the end of what the 3DS will have to offer. Also announced were entries to the Dead or Alive, Samurai Warriors, Madden, Techmobowl, Chocobo Racing, Street Fighter, Splinter Cell, Ghost Recon, PilotWings, Assassins Creed, Steel Driver, Driver, Animal Crossing, and FIFA series’, which means, if these are all launch titles somehow, that the 3DS will have easily the greatest lineup of launch games ever. What did you guys think of Nintendo’s press conference? Definitely a hit in my book! Be sure to check out the full article, which also goes over Sony, Microsoft, Ubisoft, and EA right here!